Usage notes: What’s the difference between nightfall, dusk, and twilight? Poetry. The French word for dusk is crépuscule, which to me sounds rather ominous. 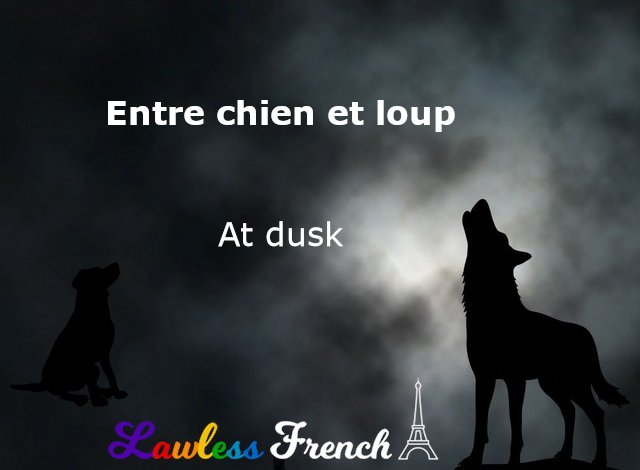 I suppose the French expression entre chien et loup is too, since it suggests that the limited light prevents you from knowing whether you’re looking at a dog or a wolf,* but somehow the poetry of the expression makes it all okay. Je n’aime pas sortir entre chien et loup. I don’t like going out at dusk. Nous l’avons rencontré à la plage, entre chien et loup. We met him on the beach at twilight. 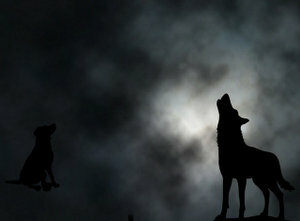 Some sources, including Littré, state that entre chien et loup is also synonymous with à la tombée du jour (dawn), but Le Petit Robert and TLFi disagree. *In the most basic sense, the dog represents the day while the wolf symbolizes the night, but you can take it much further than that.